And no, I didn't edit the colour of the smoothie or add any artificial colouring at all! 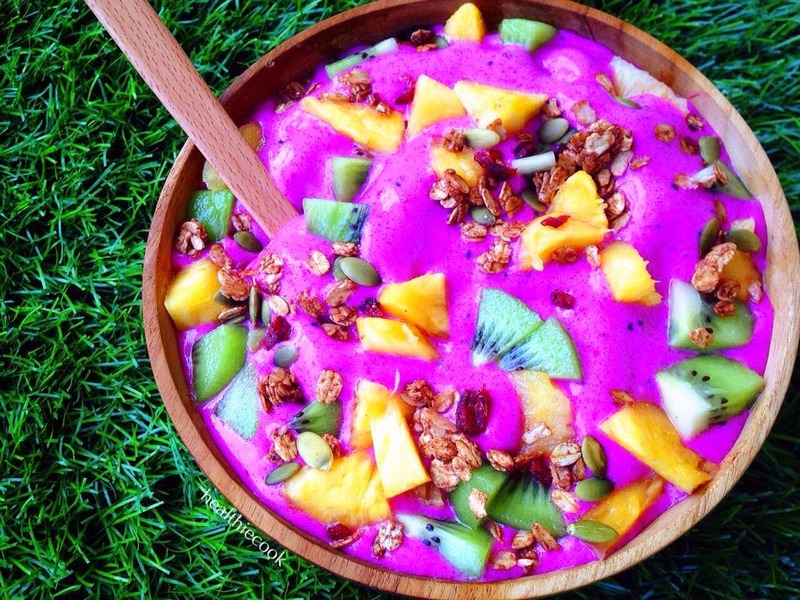 That gorgeous purple-pink colour purely comes from 'red-purplish' pitaya + 'white' bananas!! Mother nature provides us with so many natural colourings, so do keep that in mind if you reach out to those artificial colours!! I topped mine with some slices kiwis, cubed pineapples (also obsessed with pineapples at the moment, so good mmm…), and my-must-add-topping which is granola (crunch-crunch-crunch)! 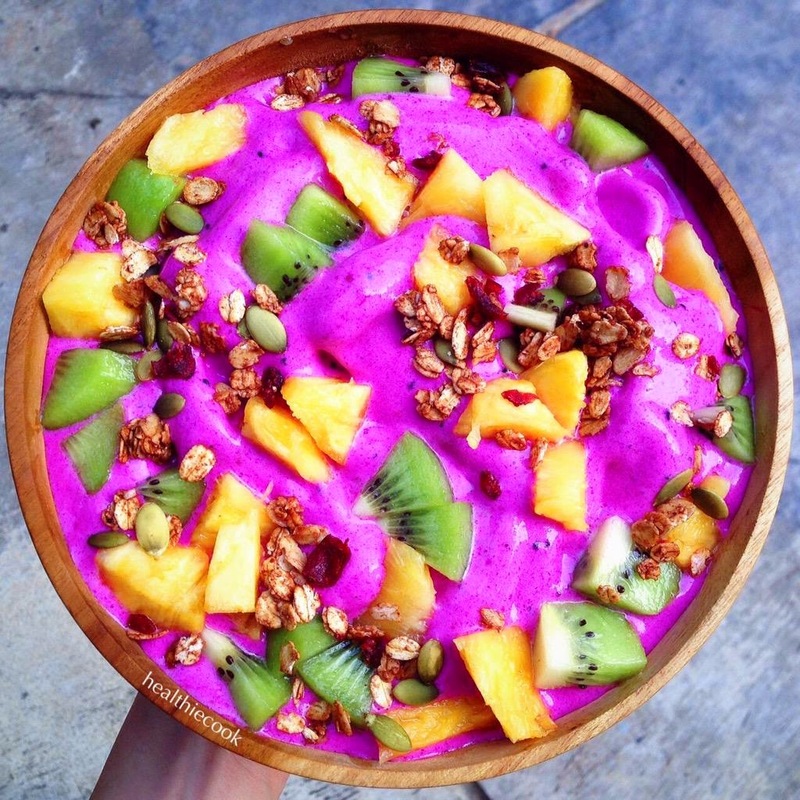 Not only good for the eyes, but this baby right here is also reallyyy good for your body (and your tastebuds)! Not to mention that it's super easy to make! Perfect to make for breakfast on busy mornings, or when you get home from a tiring day at work, or for dinner (LOL basically anytime). 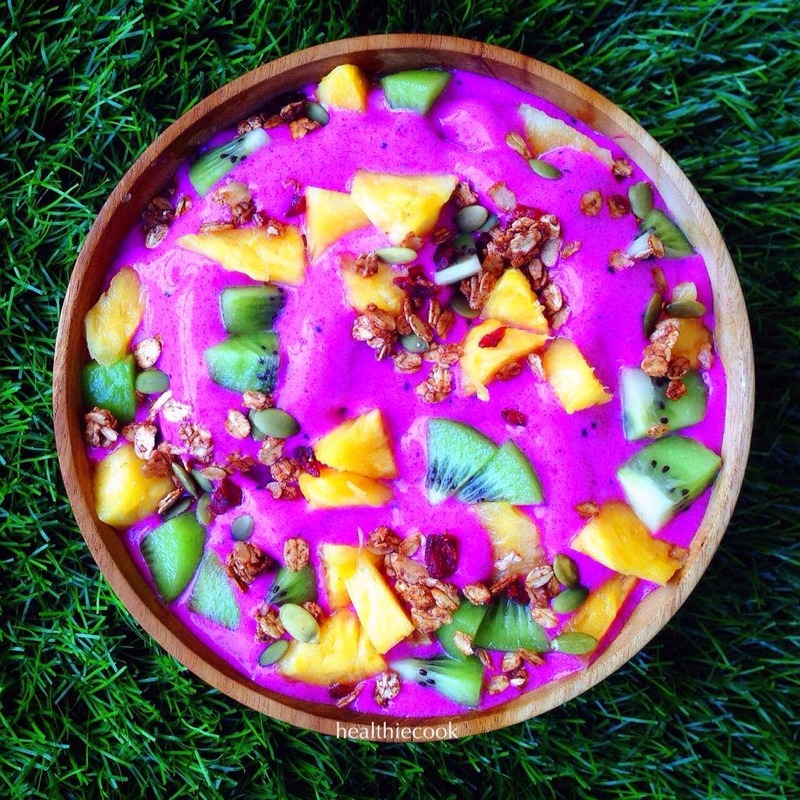 Put the frozen bananas, coconut sugar & dragon fruit (cut into small chunks), into a high speed blender/food processor. Blend until it turns nice & smooth, add in the coconut sugar and blend again. (I don't add any water, but you can add a little if needed to help it blend). 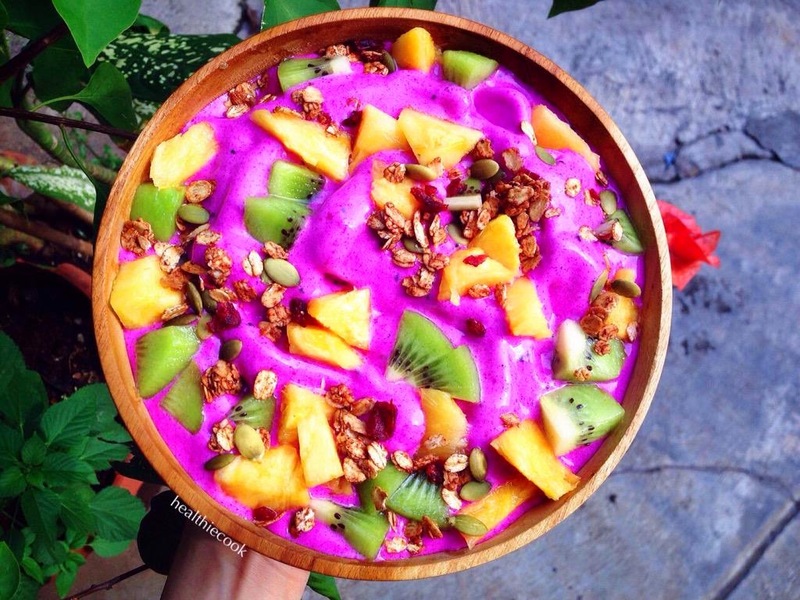 Scoop into a bowl, top with your favourite toppings! Enjoy!!! Yep! Make sure to get the 'red' dragon fruit though (there is also a white-fleshed one) ;) Hehehe, do let me know if you're coming hun!! How is it so purple?? I love it! !